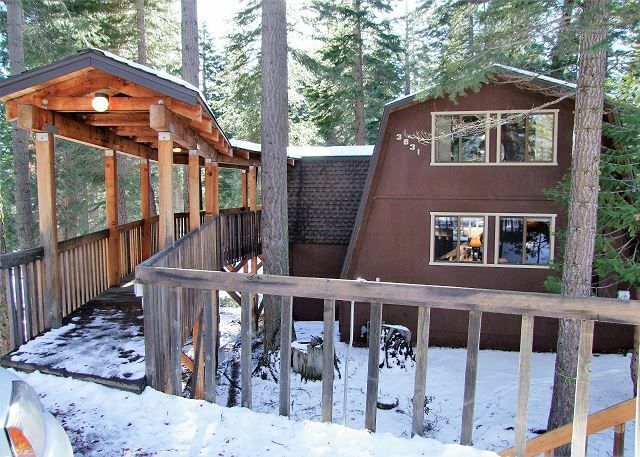 This classic Tahoe family cabin is situated on a large lot which backs to the National Forest and offers plenty of privacy. Step off the back deck to miles and miles of hiking trails for summer and winter recreation. 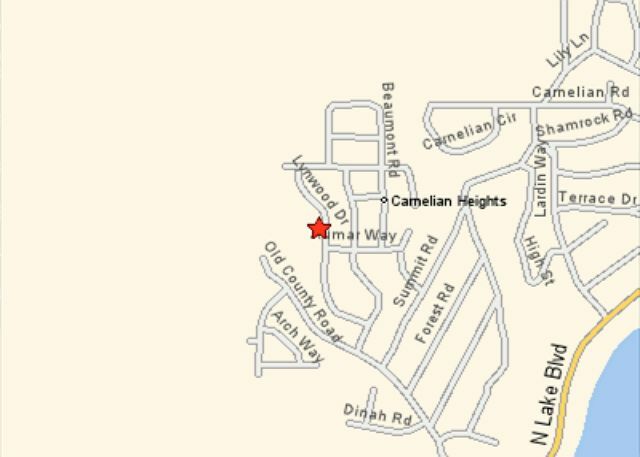 It is a short drive to Tahoe City and Carnelian Bay for great restaurants, shopping and entertainment. The main living space is open with beam ceilings, a sunken living room features a rock fireplace, there is a fully equipped kitchen, nice dining area and easy access to the deck for BBQ-ing or relaxing. There are three bedrooms each with new queen beds and an open loft with 2 new bunk beds and four picture windows showing extraordinary forest views. House sleeps up to 8 people comfortably. There is Wifi in the house for your communication needs. Pets are allowed, please inquire. No Smoking Please. *Must have 4-Wheel drive and snow tires to access this house in the winter. I loved this house, a very casual 70's style house perfect for families and kids. This house is roomy, easy to keep clean and very comfortable. The house borders the forest so out the back door you go for miles and miles of hiking. I stayed for 5 days, would happily have stayed for 2 weeks. I loved my stay, and found everyone very helpful with the rental and stay. I will definitely go back and miss it already. We've stayed here several times and always enjoy it. The carpeted conversation pit is great for kids, as is the no frills decor. The heating system works very well, we loved that the conversation pit has heater vents built in. The loft with 4 beds is nice for kids as well. The house has extremely thin walls so don't expect any privacy anywhere. Also, the electric stove doesn't work all that well and there are almost no serving dishes. But otherwise we'd highly recommend this house. Bring ur snowshoes and GPS b/c u'v got miles of forest to explore right off the back deck! It is in a beautiful location. Peaceful and quiet. Absolutely loved it. This airy wooden A-frame cabin harkens back to the 1970s, but in a good way. It is clean and efficient and an enjoyable place for a number of people to be together. Carpet needs replacement and upholstery could do with some cleaning. Kitchen could also do with an update - appliances are ancient. The place is great for a multi-family ski vacaation.